So, I've kind of been on a Texas Chainsaw Massacre kick recently. After I watched the original, I watched the trailers for the sequels. 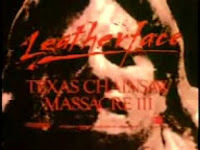 And the one for Leatherface: TCM 3 looked awesome. First of all, this trailer is ridiculously cheesy. 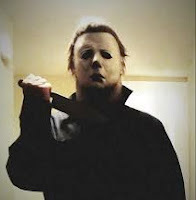 Comparing Leatherface to King Arthur? C'mon! 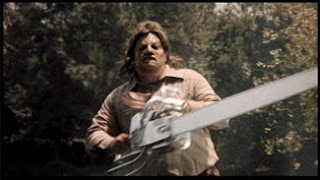 And why does Leatherface have a mullet? It did come out in the early 90s and I guess that mullets were still cool then. And why does he look more like Michael Myers than Leatherface? I haven't seen this one yet (but I have to now, after seeing this trailer). I just wanted to share the love. This is one of the greatest trailers I have seen in a long time. Oh, and Viggo Mortensen is in it. So, I guess that is cool.